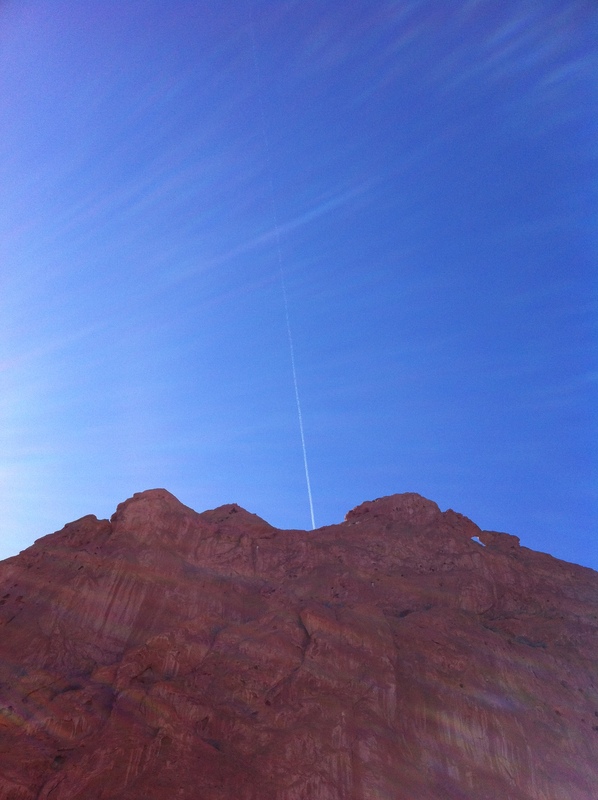 That’s a jet stream, actually. I love how lucky I got in terms of how my iPhone camera handled the fact that I was shooting indirectly into the sun. No, NO I realised it was a jet stream but I was trying to imagine what it could be in my fantasy giant’s mouth !! Too thin!! maybe sword swallowing? ?